Often people assume that tooth loss is due to decay. It’s not. It’s the result of gum disease. And it may be completely unnoticeable right up until you lose teeth. Symptoms include bleeding gums during brushing and loose or shifting teeth. If you’ve been told you need gum surgery, you might be happy to know that it’s possible to control gum disease with a variety of non-surgical methods. Recent research has led many doctors to reach a startling conclusion: gum disease, stroke, and heart disease are connected. 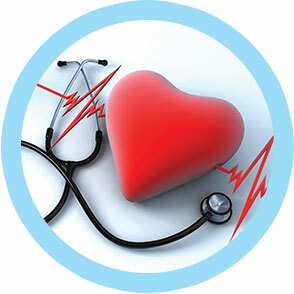 Because heart disease is usually fatal, it is clear that gum disease is a very serious matter. The American Dental Association estimates that 80% of Americans have periodontal (gum) disease. If this were any other affliction, such as AIDS or tuberculosis, it would likely be considered an epidemic! Most dentists think it is exactly that. They’ve also known gum disease would never be labeled epidemic because “no one ever dies from it.” The worst that might happen is lost teeth. Not fun – but certainly not life-threatening. However, that’s all changed. The American Academy of Periodontology states: “Studies found periodontal infection may contribute to the development of heart disease, increase the risk of premature, underweight births, and pose a serious threat to people whose health is already compromised due to diabetes and respiratory diseases.” Periodontal disease is characterized by a bacterial infection in the gums. These bacteria can then travel in the bloodstream – directly to the heart. With advanced periodontal disease, the treatment is surgical. Gum surgery is never fun, but it is generally successful in arresting the condition, and it’s usually covered by many insurance plans. With mild periodontal disease, there are highly effective non-surgical procedures that, coupled with better dental hygiene, can virtually halt the spread of the disease. This is also usually covered under most dental insurance plans. Is it a big deal to lose a tooth? I mean people don’t die from it, right? No, they don’t, but losing even a single tooth can cause other teeth to shift around – not good. This can affect chewing and your ability to retain nutrients from food. Other unpleasant things can happen; your face will change shape, often becoming “sunken.” This can make you look much older than your actual age. The way you talk can be affected. Since it’s harder to chew with lost teeth, you might find yourself leaning towards softer foods with more carbohydrates, which can contribute to gaining weight. 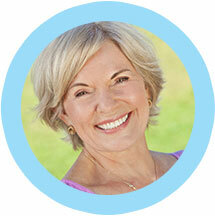 The best solution for a missing tooth (or missing teeth) is dental implants. An implant can replace one tooth or many. They can be constructed to look so natural that even a dentist has to look closely to see the difference. Bensonhurst Smiles is pleased to offer a new treatment called PerioChip™. This non-antibiotic medication is used in conjunction with standard gum disease treatment to reduce the gum pocket depth. Be sure to ask about this at your next visit. 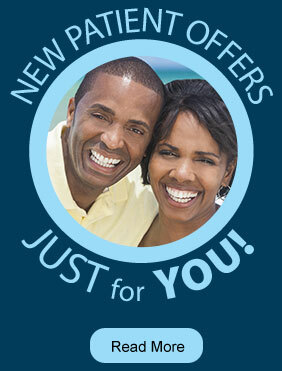 We can help arrest your gum disease and bring your smile back to health. Give us a call today at (718) 232-4044.